In the wake of Ash Wednesday last week, a couple of Christians whom I respect posted warnings about Lent as an unlawful superstition in the worship of the Church (D.G. Hart and Jeremy Walker). For my part, I wrote an article explaining the meaning of Ash Wednesday and why Christians ought to consider (but not command) fasting during Lent. 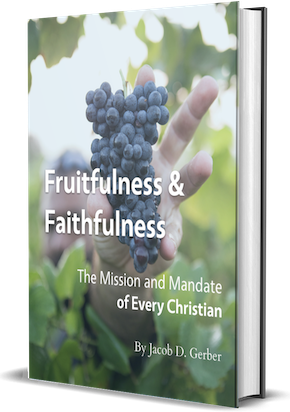 But, toward the goal of Always Reforming, it’s important to understand the grounds on which we might approach Lent (and the larger church calendar), as well as the grounds on which we absolutely should not approach Lent as the worshipers of Jesus Christ. The express purpose of the Sabbath was that YHWH’s people would experience the way in which YHWH sanctifies his people. We rest because YHWH works for our sanctification. Now, in the New Testament, we find that Christ changed how we observe the Sabbath (Christians assemble to worship on the Lord’s Day, Sunday, rather than the Sabbath, Saturday), but that he did not change the fact that we are to observe the Sabbath. While the adjustment isn’t entirely unexpected, since even the Old Testament pointed toward a Sunday Sabbath, what is important is that New Testament believers continue to obey the 4th Commandment, even though they rest from their labors on the 1st day of the week rather than the 7th. We must begin, then, by differentiating the Church Calendar (Capital C) that God has explicitly commanded from any other kind of “church calendar” (lower-case c) that God has not explicitly commanded. Whatever we might think of the church calendar, we must make a categorical distinction between the way we observe the Lord’s Day and the way we observe any other day. God explicitly states that this Church Calendar is for our sanctification. If we are to observe any Church Calendar in the desire to grow in our knowledge of Christ, we ought to keep God’s Sabbaths by resting from our labors and devoting the entire Lord’s Day toward worshiping God. So, we should pose a question to all Christians: Do you observe the Christian Sabbath and keep it holy, believing that God commanded Sabbath rest obedience, and that he promises to sanctify you in a unique way as you obey by faith? The Sabbath alone holds a rightful place on the official, conscience-binding Church Calendar for Christians. If we observe other days, then, we must place them as a lower priority than where we place the Sabbath. So, it is critical for us to stop short of teaching that days and seasons in the church calendar have the same kind of role in sanctification that we see God ascribe to his Sabbaths. God does promise to sanctify us through keeping his Sabbaths, and God does not promise to sanctify us similarly by keeping any other day or season. Indeed, when Aaron’s sons Nadab and Abihu made the slightest variation to God’s prescribed worship by bringing fire from somewhere other than the altar, God struck them dead (Leviticus 10). When David ignored God’s command that only Levites should carry the ark of the covenant, and then only by using special poles built for the ark’s transport, Uzzah was struck dead when he reached out to steady the ark when the oxen stumbled (2 Samuel 6:5-11). We ought to be very careful neither to substract, nor to add to what God has commanded in our worship. Nevertheless, I still believe that the church calendar can serve a proper purpose in the church as a helpful outline of the biblical material. In our worship, we are commanded to preach and teach the full counsel of God. While this basic command sounds simple enough, there are a couple of practical problems: (1) the Bible is a very long book; and (2) the supernatural character of the Word of God makes it impossible to exhaust the message of even a small passage. This means that every week when I preach, I have to make choices about what not to say. There simply is no way that I could say it all, but also, as a shepherd I know something of the limits of what my sheep can ingest at a given sitting. As much as I would like to meditate fully on our own mortality and need for repentance, or on Christ’s incarnation, faithful obedience, suffering, Lord’s Supper, cross, death, resurrection, ascension, and sending of the Spirit, I simply cannot work my way through all of that in a single Sunday. That much material would require multiple weeks at a minimum. Furthermore, preachers have their pet issues, their hobby horses, and the issues that loom more prominently in their minds because of their own studies, their conversations, or the controversies to which they are exposed. It’s all too easy, even in subtle ways, to neglect some doctrines as we over-emphasize (comparatively speaking) the ones that most readily come to our minds. This is where I see value for a church calendar. I need to preach the full counsel of God, and the sheep need to hear the full counsel of God regularly. The church calendar can be a helpful guide so that I don’t neglect preaching specifically on the doctrine of the Trinity, for example. I could sit down and draw up my own preaching calendar, but the church calendar is very well put together, and well known across the church universal. Under this approach, I don’t see that particular Sundays offer unique, liturgical bonus points, but I have help from millions of Christians over thousands of years to remind the particular flock under my own care of the chief, crucial, cardinal doctrines of Christianity, year after year. And, most importantly, God has promised to bless the preaching and teaching of his Word and the doctrine of Christ. When the church calendar plays a servant role to that God-given form of worship, the church calendar is a help. When the church calendar becomes some extra, special form of worship, it becomes an idolatrous superstition in our worship from which we need to repent and seek God’s forgiveness. May God bless his commanded, prescribed worship in the coming year.